BGPI offers many types of surveillance solutions for your home, business, or commercial account. Surveillance cameras are used to capture images and help monitor events, which can be recorded or not. The types of surveillance cameras we sell include dome cameras, bullet surveillance cameras, pan, tilt and zoom and fixed professional surveillance cameras. We offer color and monochrome surveillance cameras. The quality of a surveillance camera can vary by resolution, which is measured by TV lines (TVL) and by lux rating. The higher number of TVL of a surveillance camera the better and the lower lux of a surveillance camera indicates it will see better in lower light. If a surveillance camera has a fixed lens it can see only one fixed position. If it has a varifocal lens it can focus at multiple mm settings based on the user's preference. Surveillance cameras can now have both day and night imaging capabilities with the introduction of new integrated day/night surveillance cameras. Surveillance cameras can be used simply by connecting it direct to a TV or monitor or used as part of a larger system with multiple surveillance cameras. These surveillance camera types require a multiplexer if using a VHS recorder or a Digital Video Recorder with built in multiplexing and internal hard drive. 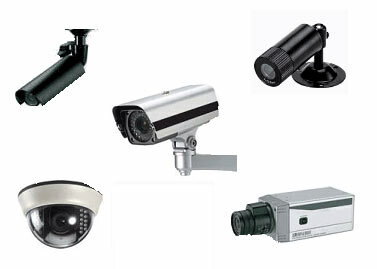 We have many pre-packed surveillance camera systems and also are happy to customize any options you do not see. The best surveillance camera system is one that is carefully planned and thought out. We prefer surveillance cameras that include varifocal lenses that adjust in the field for different focal points. We also prefer the use of the day-night surveillance cameras that offer coverage in daily light changes. BGPI can provide you with a plan that includes each of the items necessary for your home or business. For a more comprehensive quote, please call us to set up a FREE CONSULTATION AND SITE SURVEY. BGPI offers many types of GPS Tracking solutions for your home, business or commercial account. For business and commercial accounts we sell GPS Tracking for fleet vehicles. 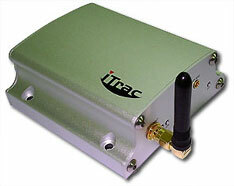 These are both Passive and Active GPS Systems and are only available for purchase. For personal use, we will rent a GPS tracking device out for individual/personal use. These units are not available for purchase.